When it comes to wallets, one thing’s for sure — you can never have enough credit card slots. More..
There’s nothing as classy as black leather. 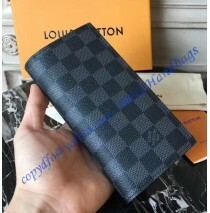 Any fashion expert, or even a fashionable person, can ..
Every man out there needs a fantastic wallet that’s both useful and sophisticated. Luckily, this p.. 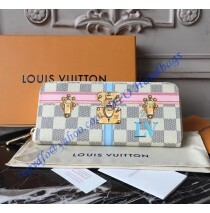 The Louis Vuitton Fall/Winter men’s fashion show for 2018/19 has given us an array of fashionable ..
Every woman who cares about maintaining a certain lifestyle understands the importance of appearan..
Louis Vuitton decided to celebrate its travel and trunk-making heritage. How is that good news for..
Space has always been quite a mysterious place for men in fashion. 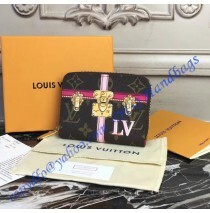 It is a never-ending piece of u..
Have you ever wondered what it would be like to have a wallet that’s not only functional but looks..
Have you been looking for a perfect wallet but you can’t seem to find anything that speaks to you?.. What seems to be the only thing you never forget to bring with you when you leave the house? What’..
A small container for carrying coins, paper money and credit cards? Does it ring a bell? Yes, it’s..
You have to think of your wallet as an absolute cornerstone of your everyday essentials. Hence, if..
Let’s get something straight. 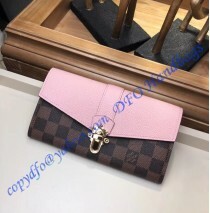 One of the essential accessories every successful woman totally need..
You already have a nice Louis Vuitton bag and now you are looking for something to maximize the ef..
New and modern wallets are truly remarkable creations. They are extremely practical, yet small and.. 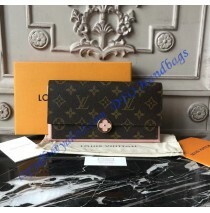 The Louis Vuitton Monogram Canvas Flore Wallet Rose Ballerine is a combination, and we can add per..